SlideShare is the largest community for sharing presentations and slideshows on the Internet and allows for a variety of great options for business demonstrations. One of the reasons SlideShare is seen as punching far above its weight, lies in the fact that it commands attention from higher end, decision making clientele. This means that if you want to impress those who make business decisions, you need a better SlideShare – here’s how. Shorter is better when it comes to presentations and nobody wants to sit through forty minutes of slides. The fewer slides the greater chance of people following to the end – ideally 10 – 15 slides is enough. A more visual show is a lot better than one that relies heavily on text to explain what’s going on. People are far more inclined to remain attentive to interesting infographics and high quality images than lines of text. Even though you want to encapsulate a lot around the slideshow, you’re better taking a minimalist stance as people are more inclined to pick up what’s being written if you do so. You should also make sure to include a call to action at the end. This can be to make a purchase, conversion or just to visit your website for more in-depth information. 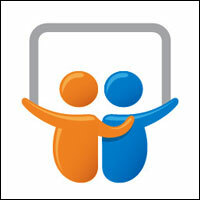 SlideShare can be very social so make sure to add presentations to all your accounts. LinkedIn has a SlideShare app, while newsletters can really be improved with an embedded version. The same goes as for any other content and you need to include a good headline and tags, keywords and key-phrases, as well as company details. Your SlideShare presentation may get comments and feedback. If it does then you should make sure to reply and to offer feedback. You are not the only person using SlideShare and following other people can be a great way to encourage interaction. Remember a lot of people using SlideShare are the decision makers – something that could be great for you. It’s possible to turn a SlideShare into a great YouTube video or embed a YouTube video in your slides – this could increase the amount of exposure you get. There are a number of great document sharing sites out there. So, if you convert your SlideShare to a PDF it’s possible to get it on these too. If you do intend on using SlideShare regularly then you should perhaps consider investing in a Pro account. Pro account includes a lead capture form, with the opportunity to get 30 leads in that space of time. It’s certainly something to think about if you use it quite often. SlideShare offers a variety of different benefits to a range of businesses and is certainly something for consideration. MySocialAgeny is a digital marketing agency with offices in Leeds and London. Get in touch to learn more about our services.